What is Pyrex Borosilicate Glass? 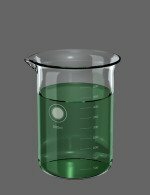 The term Pyrex Borosilicate glass is derived from 2 sources. The first is Borosilicate glass which is a strong, heat resistant type of glass. The second is Pyrex which is a trade name used in the early 20th Century by the Corning Glass Company. Pyrex became synonymous with Borosilicate Glass. The other main brand is Duran made by Schott. Sometimes Pyrex cookware is actually Toughened Glass. Pyrex is highly resilient to thermal shock. This means it can withstand very high and low temperatures, making it suitable for cookware, cooker doors and laboratory equipment. If you need super strong glass or heat resistant glass, perhaps we can help. We can supply Pyrex sheets in various sizes and thicknesses. As well as plain sheets, we can also supply it with patterns and ribs.